We’re climbing the Top 100 list! 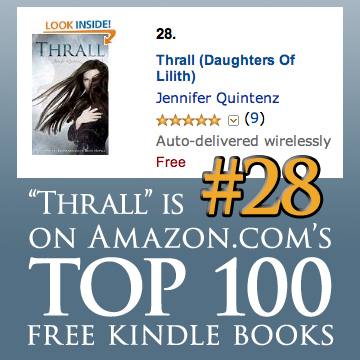 As of 4:00 PM today, Thrall is #28 on the Amazon.com Top 100 Free Kindle Books List! Still free for two more days – so grab your copy now if you haven’t done it already. ‹ THRALL in TOP 100 Free Kindle Books!